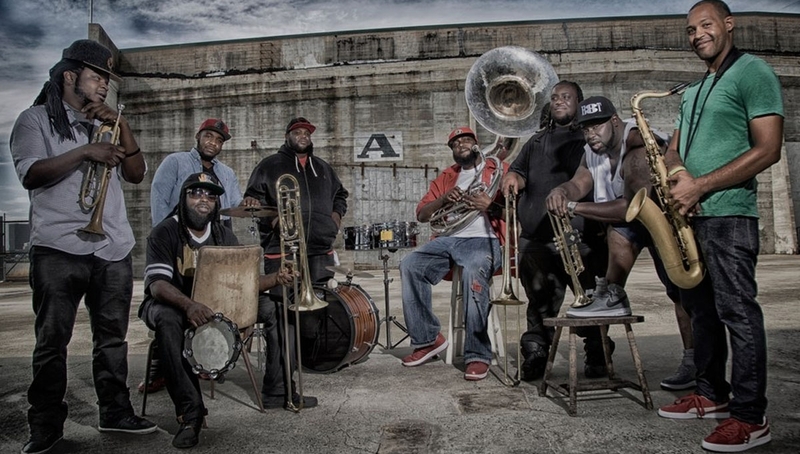 Hot 8 Brass Band, New Orleans’ inimitable Jazz, Funk & Hip Hop powerhouse return to London for their biggest show to date, following appearances at some of the UK’s finest festivals including The Secret Garden Party and WOMAD. Their sound brims with relentless energy, leaving a unique stamp on every venue and each person that hears their roof-raising, rambunctious and incredibly rich music. With one foot firmly planted in the community and musical traditions of New Orleans and the other free to wander through myriad influences, The Hot 8 Brass Band are at once both endearingly familiar and strikingly original. Since signing to Tru-Thoughts in 2007 their profile has steadily grown, from collaborations with the likes of Mos Def and Lauryn Hill to the celebratory gold vinyl release of their take on Marvin Gaye’s classic ‘Sexual Healing’. 2017 will see the release of their new album On The Spot and a world tour. With support from Mr Scruff.